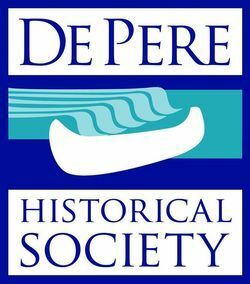 In honor of our first Curator, the Max Franc Business and Residential Awards are presented for the outstanding efforts to restore or preserve historic buildings in and around the City of De Pere. The Nan Workman Award is bestowed to the individuals that unselfishly donate their time or skills to help support and continue our mission as a society. These awards are presented annually. Special Recognition, McKim Boyd, For his tireless hours of putting on the Photo shows and the work that went into the Majestic Theater Movie Night. Special Recognition, Joe Seroogy, For his tireless hours of putting on the Photo shows and the work that went into the Majestic Theater Movie Night. Max Franc Residential Historic Preservation Award, Patricia Tiedemann, 603 S. Michigan St.
Max Franc Business Historic Preservation Award, Rick Nell, Nell and Associates SC, Restoration of 380 Main Ave De Pere. Max Franc Residential Historic Preservation Award, Jennifer L Johnson, At 601 N Superior Street. Max Franc Business Historic Preservation Award, De Pere Auto, for renovation of their building at 705 George St. (The original Cuene Buick garage). Max Franc Residential Historic Preservation Award, Gerald and Peggy Brey, for their work on 403 South Michigan Street. Max Franc Business Historic Preservation Award, Wildroot Salon, 114 N. Michigan St., owned by Sue Fritsch, and De Pere Auto Center, 705 George St., buildings owned by Lawrence Fisette. Max Franc Business Historic Preservation Award, Steve and Carey Danen, northeast corner of Michigan and George Streets.